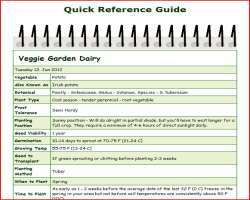 The growing cauliflower quick reference guide below is designed as a quick overview of growing cauliflower. For more details on the different stages from seed to harvest go to the related pages link. Seed Sowing Direct sowing cauliflower seeds - 1/2 inch (12 mm) deep - 4 inches (10 cm) apart in rows 24-30 inches (60-75 cm) apart. When to Fertilize 2 weeks before sowing or transplanting - when transplanting use liquid starter fertilizer - side-dress every 3-4 weeks – last side-dressing as the heads begin to show. Days to Harvest 65-75 days - depending on conditions and variety.